Create, edit and delete products. The country of manufacture or production where the product comes from. Tick the checkbox, if the product is active in the system and in use. 2. Fill up product’s information on the top half of screen. 4. On “Pricing” tab, any price lists associated with the product will be automatically shown here when the price list was created, e.g. “Sales Price List”, “Purchase Price List”, etc. 6. 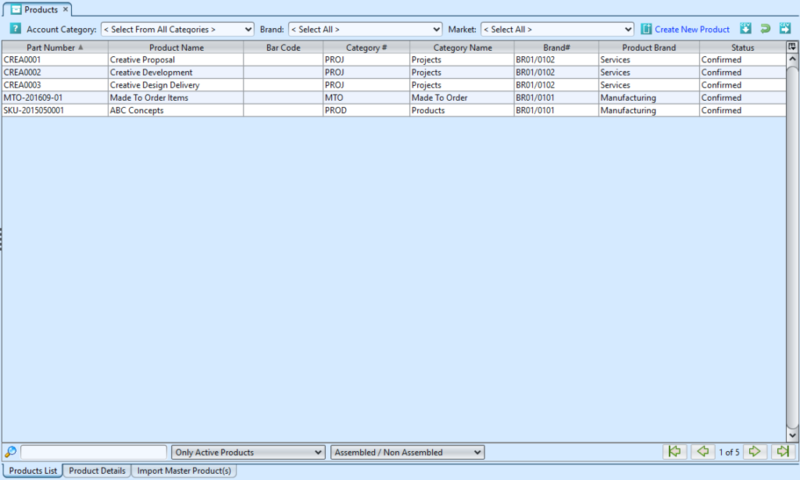 If the product is an assembled product type (“Has Bill of Materials” checkbox was ticked),“BOM” tab will be available for selection to add the BOM items (product’s parts). 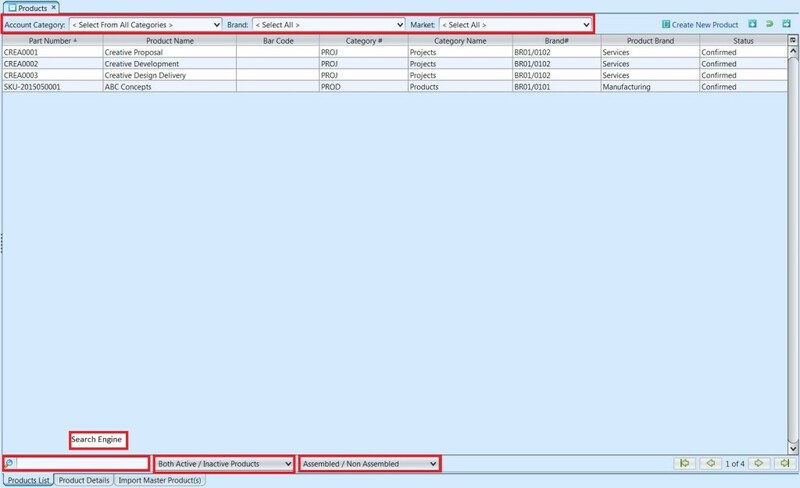 Enter the product’s info and click button to add the product into the BOM list for product assembly. 9. On “Stock” tab, the stock’s availability and movement will be updated automatically once there is any movement to the product’s inventory. 10. 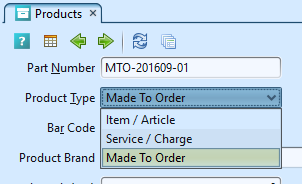 On “Usage” tab, the usage of the product will updated automatically if there is any usage for BOM / product assembly. 11. Click on “Confirm Product” button at the middle of the screen to confirm the item. 12. 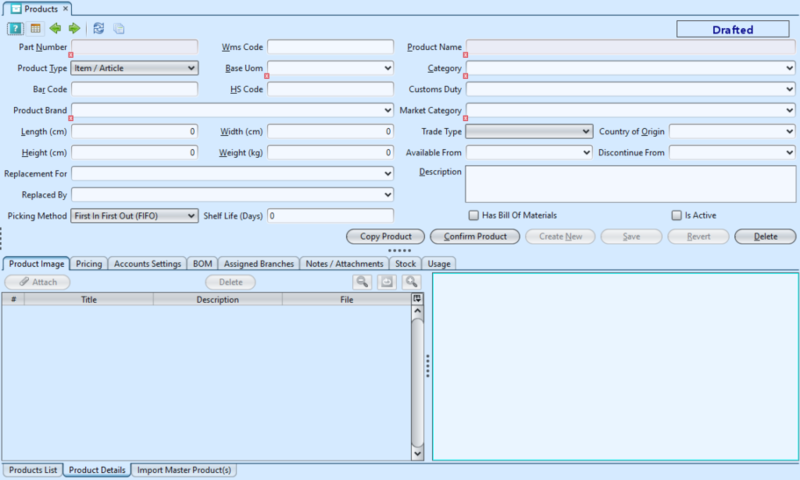 Optional: Click on “Copy Product” button at middle of the screen to quickly create a copy of product record. 13. User can close or reopen a product record. However, user is not allowed to edit product information when the product record is closed. Click on “Close Product” or “Reopen Product” button at middle of the screen in order to close or reopen the product. 1. On “Products List” tab, double click on product to be updated, it will bring up the details on “Product Details” tab for the selected product. 1. On “Products List” tab, double click on product to be deleted, it will bring up the details on “Product Details” tab for the selected product.